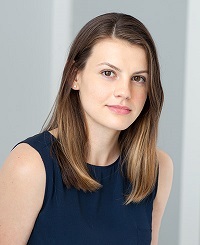 Valerie Bauerlein is a national reporter with the Wall Street Journal. She covers economics, politics and breaking news in the South. She has covered eight hurricanes, including Hurricane Katrina on the Gulf Coast and Hurricane Harvey in Houston. She recently spent ten days in Wilmington for Florence. Valerie also covers man-made disasters, including mass shootings in Charleston, Orlando, and Las Vegas. She has won prizes for her work, including coverage of the opioid crisis among veterans in Fayetteville and the poisoning of the water supply in a West Virginia town. A perk of her job is the chance to write features about the South. She has written front-page stories on Nascar, beauty pageants, the Gaffney peach, and Waffle House. Valerie grew up in Wilmington, and is a proud graduate of New Hanover High School and Duke University. May-lee Chai is the author of nine books of fiction and nonfiction and one book-length translation from Chinese to English of the 1934 Autobiography of Ba Jin. Her new short story collection, Useful Phrases for Immigrants, won the Bakwin Award for Writing by a Woman (judged by novelist Tayari Jones, author of An American Marriage). 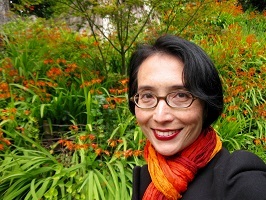 Her writing has been awarded a National Endowment for the Arts fellowship, Jack Dyer Fiction Prize, Kiriyama Prize Notable Book, Asian/Pacific American Award for Literature, and honorable mention for the Gustavus Myers Center for the Study of Bigotry and Human Rights Book Awards. Cortney Lamar Charleston is the author of Telepathologies, selected by D.A. Powell for the 2016 Saturnalia Books Poetry Prize. 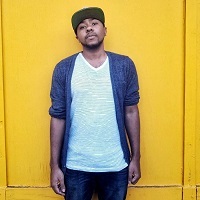 He was awarded a 2017 Ruth Lilly and Dorothy Sargent Rosenberg Fellowship from the Poetry Foundation, and he has also received fellowships from Cave Canem, The Conversation Literary Festival, and the New Jersey State Council on the Arts. Winner of a Pushcart Prize, his poems have appeared in Poetry, the American Poetry Review, New England Review, AGNI, Granta, and elsewhere. He serves as a poetry editor at the Rumpus. Sayantani Dasgupta is the author of Fire Girl: Essays on India, America, & the In-Between—a finalist for the 2016 Foreword Indies awards—and the chapbook The House of Nails: Memories of a New Delhi Childhood. Her essays and stories have appeared in the Rumpus, Phoebe, and Gulf Stream, among other magazines and literary journals. Honors include a Pushcart Prize­ Special Mention and a Centrum Fellowship. 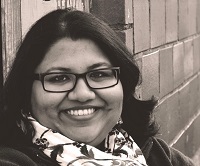 Besides the U.S., Sayantani has also taught creative writing in India, Italy, and Mexico. 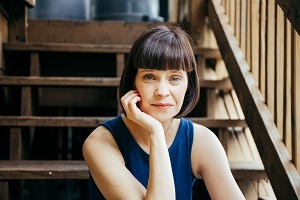 Meg Day is the 2015–2016 recipient of the Amy Lowell Poetry Travelling Scholarship, a 2013 recipient of an NEA Fellowship in Poetry, and the author of Last Psalm at Sea Level (Barrow Street 2014), winner of the Barrow Street Poetry Prize and the Publishing Triangle’s Audre Lorde Award, and a finalist for the 2016 Kate Tufts Discovery Award from Claremont Graduate University. 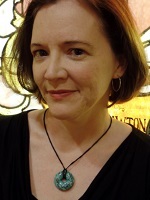 Day is Assistant Professor of English & Creative Writing at Franklin & Marshall College and lives in Lancaster, PA.
Toni Jensen is the author of a short story collection, From the Hilltop, and a memoir-in-essays about gun violence, Carry, forthcoming from Ballantine. Her stories and essays have been published in journals such as Orion, Catapult, and Ecotone. She’s been a finalist for the Story Prize and is the recipient of the Katherine Anne Porter Prize for Fiction and the Gary Wilson Short Fiction Award. 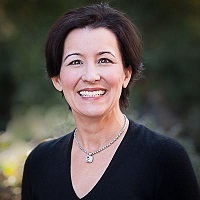 She teaches in the Programs in Creative Writing and Translation at the University of Arkansas and in the low residency MFA Program at the Institute of American Indian Arts. She is Métis. Dylan McNamara is the chair and an associate professor in the Department of Physics and Physical Oceanography at UNCW. Before coming to UNCW, Dr. McNamara was a postdoctoral scientist at Duke University. He received his PhD in Oceanography from the Scripps Institution of Oceanography at UCSD and holds an MS degree in Physics from San Diego State University. His current research interests are in coastal sustainability, coastal fluid dynamics, and using tools in nonlinear dynamical systems to explore sustainability in coupled human-natural systems. He has published more than thirty scientific journal articles in a wide range of fields including coastal sustainability, economics, physical oceanography, ecological modeling, and physics. 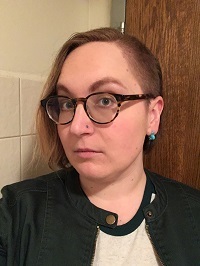 Formerly a park ranger, factory worker, and seller of cemetery plots, Joni Tevis is the author of two books of essays, The Wet Collection: A Field Guide to Iridescence and Memory, and The World Is On Fire: Scrap, Treasure, and Songs of Apocalypse, both published by Milkweed Editions. Her essays have appeared in Orion, the Southern Review, Poets & Writers, the Pushcart Prize anthology, and elsewhere. She serves as the Bennette E. Geer Associate Professor of English at Furman University in Greenville, South Carolina, and is at work on a new book of nonfiction about music, destruction, and iconic American landscapes. Julie Buntin's debut novel, Marlena, was a finalist for the National Book Critics Circle’s John Leonard Prize, longlisted for The Center for Fiction’s First Novel Prize, and named a best book of 2017 by over a dozen outlets, including the Washington Post, NPR, and Kirkus Reviews. Her writing has appeared in the Atlantic, Vogue, the New York Times Book Review, Guernica, and other publications. 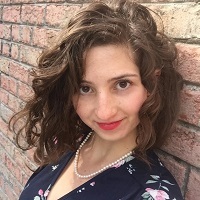 She has taught creative writing at New York University, Yale University, and Marymount Manhattan College, and is both an associate editor and the director of writing programs at Catapult. Samantha Shea joined Georges Borchardt, Inc. in 2010 and was made a vice president in 2016. Her list includes literary fiction, memoir, narrative nonfiction, journalism, essays, cultural criticism, and history. Samantha’s authors are regularly named for numerous awards and honors, including the “5 Under 35” honor from the National Book Foundation, the Rona Jaffe Prize, the NYPL’s Young Lions Fiction Award, the “Best of Young American Novelists” honor from Granta magazine, the Kirkus Prize, the National Book Critics Circle Awards, the PEN/ Robert W. Bingham Prize, and others. She represents writers Lesley Nneka Arimah, Amy Butcher, Jane Delury, Camille Dungy, Lydia Fitzpatrick, Greg Jackson, Casey Michel, Angela Pelster-Wiebe, Rahna Reiko Rizzuto, Shruti Swamy, Novuyo Tshuma, and Jenny Zhang, among others. 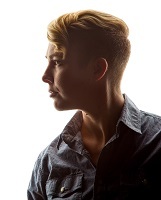 Abby Chiaramonte is a graphic designer, fiction writer, editor, and yoga instructor. She serves as art director at Salty at Heart Journal and as assistant creative director for the design team at N2 Publishing in Wilmington, NC. 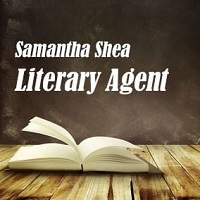 She received her BFA in creative writing and the certificate in publishing at UNCW in 2014. Megan Ellis is a regular contributor to Entropy magazine. Her work also appears or is forthcoming in Seneca Review, |tap| lit mag, and elsewhere. She was a finalist for the 2017 Passages North Ray Ventre Creative Nonfiction Award and the 2018 Redivider Beacon Street Prize. She received her MFA in creative nonfiction from UNCW. She currently lives in Minneapolis and works as an editor and graphic designer for children's educational nonfiction books. 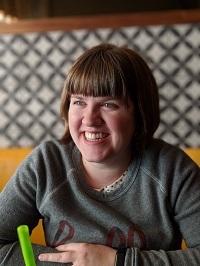 Kathleen (Katie) Jones writes poetry, fiction, and technical documentation. You can find her work in The Best Small Fictions 2018, Paper Darts, North Carolina Literary Review, IDK Magazine, Rust + Moth, and elsewhere, and she's on this year's Wigleaf Top 50. She manages the technical writing team at nCino in Wilmington, NC. She received her MFA in poetry from UNCW in 2014; at UNCW she was a Publishing Laboratory TA and Lookout Books intern.